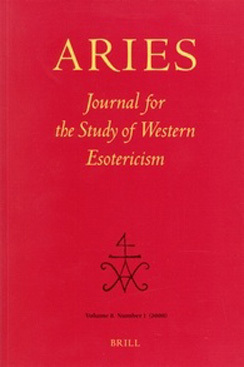 We invite abstracts for this academic conference which will consider the questions which arise from the transmission of ideas in the theory and practice of astrology. Such transmission may be between cultures, or through time in the same culture. Issues may also be addressed of comparison between cultures. Astrology has been practiced in some form in most cultures. In some it is rudimentary, in others complex. It may be considered magical, religious or scientific, or it may defy categorisation. There is evidence of the transmission of ideas in the near east between Egypt, Greece and Mesopotamia, and between the Near East, India and East Asia. In Mesoamerica and China technical forms arose which were entirely different to the Near Eastern tradition. Syncretism has been a major feature of astrology in India, Persia and Europe down to modern New Age culture and the globalisation of alternative spiritualities. This conference will consider questions surrounding the exchange of astrological ideas or practice between cultures, issues arising from their transmission from one period to another, or consider comparisons between the astrologies of different cultures. 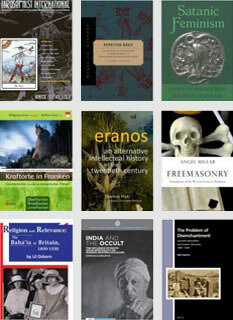 Papers may focus on iconography, literature, theory, practice, philosophy or cultural context. Professor David Pankenier, whose books include East Asian Archaeoastronomy: Historical Records of Astronomical Observations of China, Japan, and Korea (with Xu, Zhenoao and Yaotiao Jiang, Amsterdam: Gordon and Breach Science Publishers, 2000) and Bringing Heaven Down to Earth: Celestial Foundations of Chinese Civilisation (Cambridge: Cambridge University Press, 2012). Professor Francesca Rochberg, one of the foremost authorities on Mesopotamian astrology and its transmission to the Hellenistic world, and author of The Heavenly Writing: Divination, Horoscopy and Astronomy in Mesopotamian Culture (Cambridge: Cambridge University Press, 2004) and In the Path of the Moon: Babylonian Celestial Divination and its Legacy (Leiden: Brill, 2010). Professor Michael York, former Professor of Cultural Astronomy and Astrology at Bath Spa University, and author of The Emerging Network: A Sociology of the New Age and Neo-Pagan Movements (London: Rowan and Littlefield, 1995) and Pagan Theology: Paganism as a World Religion (New York: New York University Press, 2003). Proposals are invited for papers of 30 minutes, to include discussion. All papers will be plenary sessions. Abstracts should be around 150 words. Speakers will not have to register for the conference.